Last sighting in Australia in 1927. Volume 7, Jacamars to Woodpeckers, edited by Josep del Hoyo, Andrew Elliott, Jordi Sargatal, Lynx Edicions, Barcelona. The LAST bird left in the wild has not been seen since December, 2001! 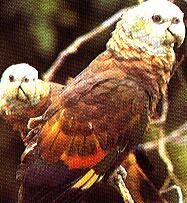 Extinction was caused by hunting for food, and felling of nesting trees to collect the young as pets. Last specimen collected in 1864 and last sighting in 1885. 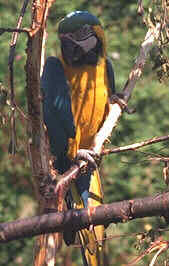 Extinction was caused by persecution (for food, crop protection, aviculture and the millinery trade) and deforestation. The last captive bird dies in the Cinncinatti Zoo in 1918.